This is a set of Du-Bro Super Strength Long Servo Arms for Hitec servos. 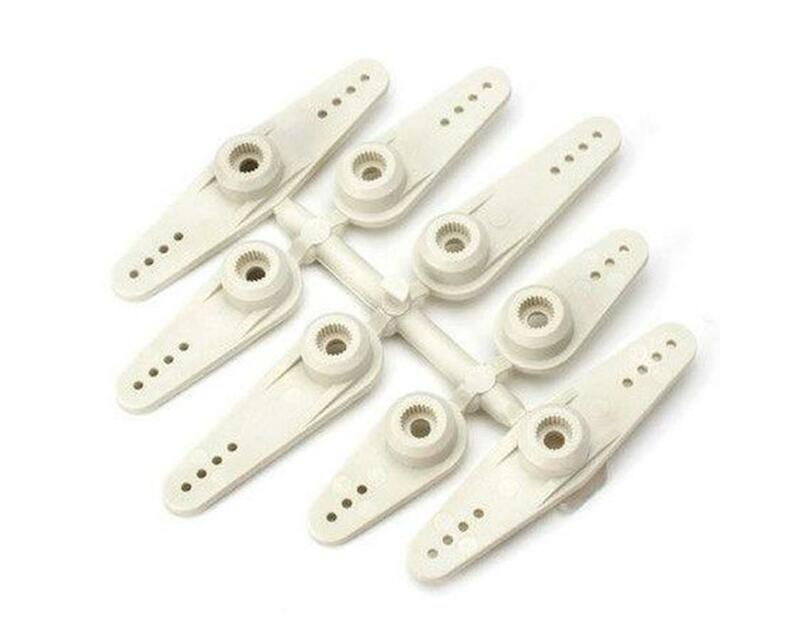 Designed for use in aircraft, car, boat, and helicopter models. Unlike conventional servo arms, they are made of long fiber composites for added strength. Longer versions have increased throw allowing for greater movement in controls. White in color.